Journey, the award winning game from thatgamecompany, has already joined the annals of video game recognition, and has been universally regarded as a must play on the PlayStation 3. This of course, is in no doubt, thanks to the creative vision of the whole development team, but special attention must be given to Journey’s score. A monumental achievement for composer Austin Wintory, the Journey soundtrack has gone on to receive numerous industry awards, as well as becoming the first game score to be nominated for a Grammy. It goes without saying that Wintory has truly established himself as a composer, and so it is very intriguing to see all the different variations and arrangements that have popped up with this incredible score. 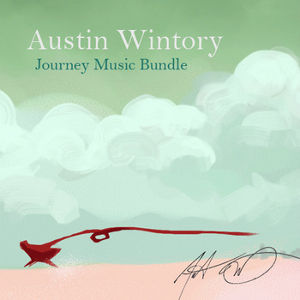 The Journey Bonus Bundle is essentially that: a short collection of supplementary music and additional arrangements from Mr. Austin Wintory himself. 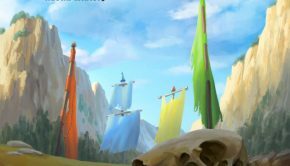 Released a little after Journey’s launch back in 2012, the Journey Bonus Bundle is available right now for free on Wintory’s Bandcamp page, and presents some pretty great additional music for those who either have fully explored the original soundtrack or for those wondering what the fuss is all about on this very lauded score. For starters, the Journey Bonus Bundle presents alternate versions on some of Journey’s memorable cues. “Threshold – Soloists Only,” for instance, removes all the additional instrumentation from the original track, and highlights only the soloists. Although it removes some of the feeling of wonderment from “Threshold,” and replaces it with this emptier, more pensive mood, it still works very well, and highlights some of the recording work done on the track. Each solo is heard distinctly, from the harp and flute flutters, to cellist Tina Guo’s beautiful harmonic lines, the track is worth a listen, and works very well as supplementary material. “A Musical Journey” on the other hand was used as trailer music for the game and soundtrack. 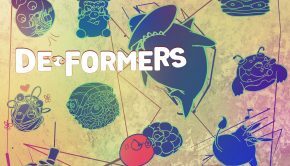 It is essentially a very quick summary of music from “Reclamation” and “Apotheosis,” with a slightly different ending. The track is a nice sum-up, but it does not in any way capture the full beauty behind these tracks, which are true highlights from the original Journey soundtrack. 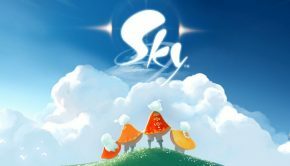 Although the Journey Bonus Bundle focuses more on its namesake, it also explores some of the music from Austin Wintory’s earlier collaboration with thatgamecompany, flOw, another game renowned for its originality. “flOw Etudes,” is another acoustic guitar cover, done this time by Scott Tennant. It sounds gorgeous and is a very calming listen. The theme itself is somewhat minimalist, but it has a very endearing and very charming side to it, emphasized perfectly with this track. In game, flOw had this atmospheric and deep rumbling feel to it, making it feel like the soundtrack itself was submerged underwater. “Journey via flOw,” is the main theme to Journey placed under this flOw filter. While it doesn’t work nearly as well as the other tracks, it does add on to the mysterious feel that Journey had in game and it’s a decent tribute to Austin Wintory’s work on both games. “flOw Meditations,” on the other hand is a vocal track featuring Ayana Haviv. It is beautiful, but it definitely has a post-modern feel, with additional layering in atmosphere and vocals, giving it a hauntingly empty feel. It works very well however, and I can easily see this track being performed live as a solo. Despite the creativity on display in these re-arrangements there are some tracks here that don’t work nearly as well as their original counterparts. Take “I was Born For This (Ocarina cover),” for instance. The original ending aria for Journey is a musical accomplishment in and of itself, and here the instrumentation can be highlighted without Lisbeth Scott’s awe-inspiring vocals. But, the ocarina just isn’t a suitable replacement. When it works, it works well, and it is an admirable performance from Chris Gale, but it never comes close to the original’s magnificence. The only real track actually sounds pretty terrible is “Journey / Tina Alloy.” Arranged by Tina Guo herself, using an electric cello, the track is essentially an electronic remix of the Journey theme, but it does not work, and sounds overtly grungy in comparison to Journey’s overall reflective attitude. The album closes with two pieces performed live at concerts. “Woven Variations” is 8 and a half minute exploration of Journey’s musical moments, containing arrangements on “Nascence,” “Threshold,” “The Road of Trials,” “Nadir,” and a bit of the end of “Apotheosis,” composed and conducted by Austin Wintory himself alongside the Golden State Pops Orchestra, with Tina Guo reprising her role as cello soloist. 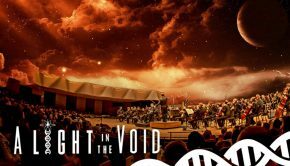 The track is beautiful through and through, taking listeners on an abridged version of Journey, this time arranged for a full orchestra. While the fuller sound is appreciated, it does distinctly sound different compared to the original’s textured sounds, at times changing from the reflective mood to something that sounds like a swashbuckler. A highlight occurs midway through the track, as Guo solos in with an impressive statement of “The Road of Trials.” My only complaint is that the track does not fully incorporate “Apotheosis,” though it is most likely that it was performed separately. We end with “The World of flOw,” again done by the Golden State Pops Orchestra (though performed a few years before “Woven Variations.” The track is a bit more difficult to follow, and at times the woodwinds lose themselves a bit with their own chirping. However, the innocence and charm of the theme is perfectly preserved with the orchestra, and the incorporation of the choir is a masterful choice from Austin Wintory. The only negative thing really to say about these tracks is that they have not been fully mixed, as the sound quality is a bit lower than the other tracks on this album. No matter though, the Journey Bonus Bundle is absolutely worth the download. Despite some missteps here and there with its tracks, it works well as supplemental material to Austin Wintory’s incredible score, an introduction his work, and as a gift to the fans who have followed along on this musical journey. Posted on November 9, 2014 by Julius Acero. Last modified on November 9, 2014.